The Battle of Flodden on the 9th of September 1513, was a national tragedy that led to the death of many Scottish and English soldiers, 100 noblemen and the Scottish King, James IV. To mark the 500th anniversary of the battle, the Flodden 1513 Ecomuseum was created alongside the Flodden 500 project. 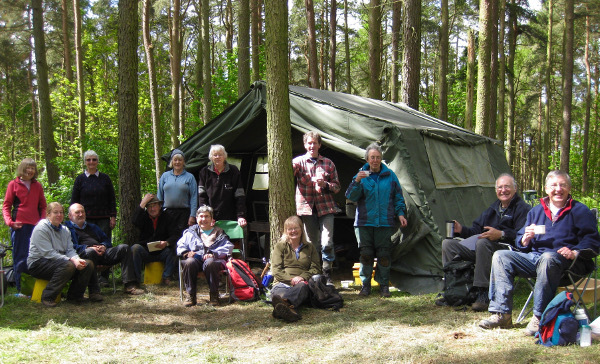 The Flodden 500 project supported and trained a large number of community volunteers who took part in archaeological fieldwork and documentary research. Through the project’s learning programme over ten thousand school children discovered the Flodden story, creating a lasting legacy. 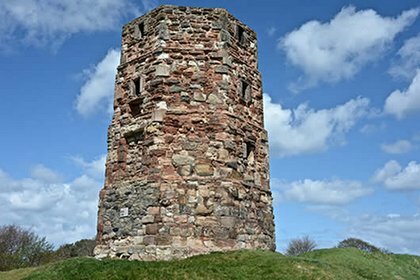 This website contains further information on the ecomuseum, the 41 sites in the network and the results of the Flodden 500 project. 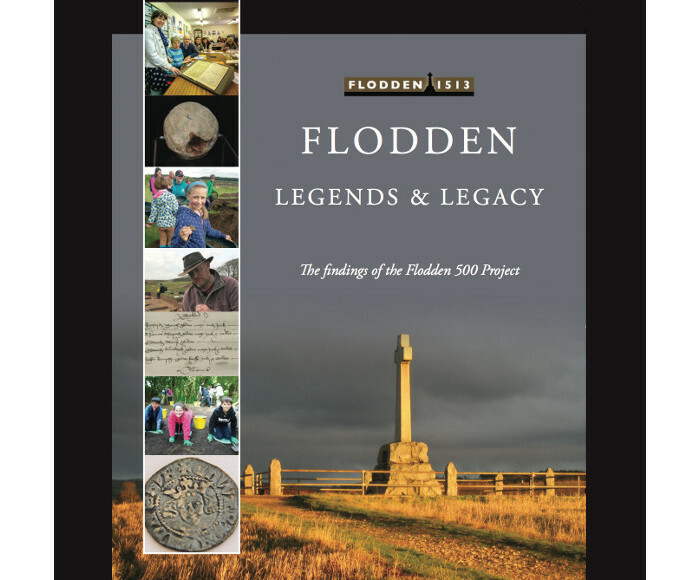 With contributions from volunteers, archaeologists, archivists, teachers and pupils this book gives a flavour of the work done during the life of the Flodden Project. 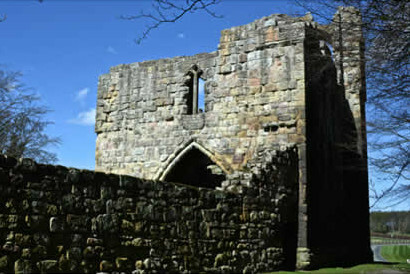 Linking sites across Britain connected to The Battle of Flodden. Location of the major engagement in the Flodden campaign, where the armies of James IV of Scotland and the Earl of Surrey, met on 9th September 1513. Sir Walter Scott settled down to write a long work climaxing on the battlefield of Flodden, entitled Marmion. Berwick upon Tweed was an important port and staging post for troops and supplies in preparation for the battle. 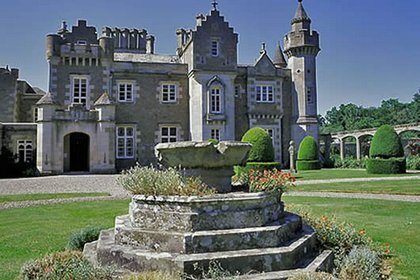 A defended manor was first established here in the 13th Century by the Manners family, but was only fortified as we see it today during the 14th Century. 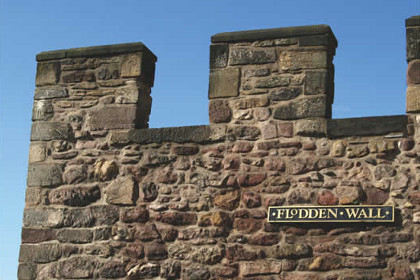 Edinburgh has many connections with Flodden with perhaps the remains of the town wall being the most visible reminder of the conflict and its consequences. 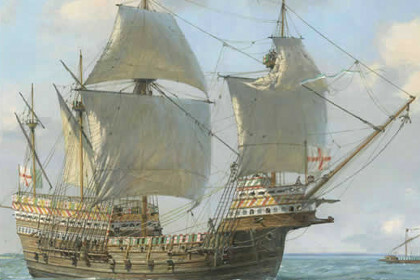 The Mary Rose played a significant part in the English response to the Scottish invasion in 1513. The Battle of Flodden took place on 9th September 1513 between the English and the Scots in a remote part of north Northumberland. 2013 was the 500th anniversary of this event and there was a desire on both sides of the border to commemorate the battle, help communities to create their own events and leave a lasting legacy which would raise the public proﬁle of the Battle of Flodden and its place in history. This publication gives a ﬂavour of what has happened during the life of the Flodden Project. Thanks to support from the Heritage Lottery Fund, the Flodden 500 Project has encouraged many local people, under expert guidance, to carry out a wide range of archaeological and archival research. The Project also led to the expansion of the Flodden 1513 Ecomuseum. 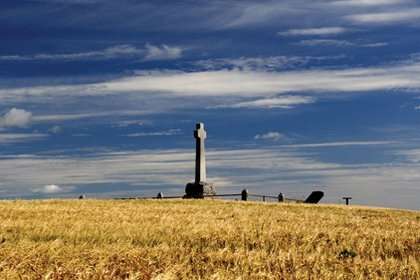 This legacy is a ‘museum without walls’ which links together over 40 sites and other aspects of heritage nationwide which have a connection to the Battle of Flodden through history, folklore or legend. Community excavations, documentary research projects, learning programmes and public events were organised as part of the Flodden 500 Project. 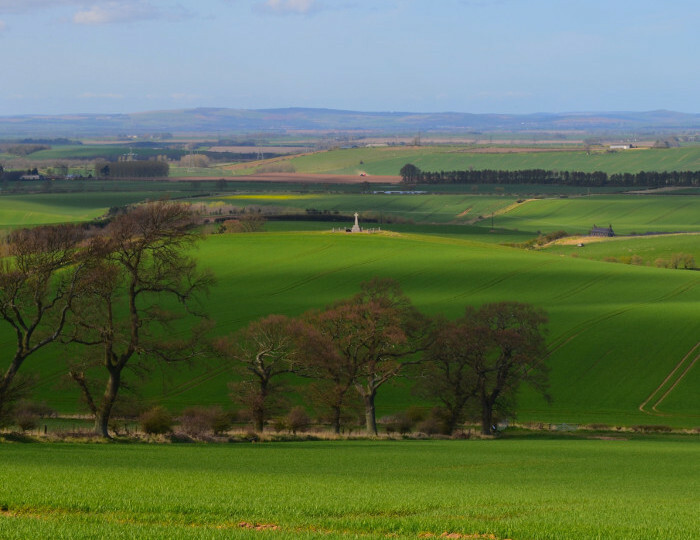 Without a shadow of bias the landscape around the ﬁeld of Flodden is one of beauty and of variety. This diversity of landscape and the underlying geology that underpins it is also woven through the fabric of the Battle of Flodden. 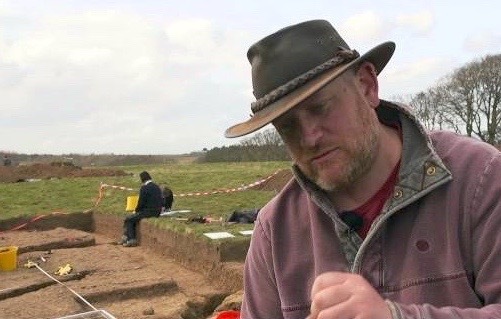 The research area covered by the Flodden Project’s archaeology programme has produced material indicating human activity over a period of nearly 10,000 years. 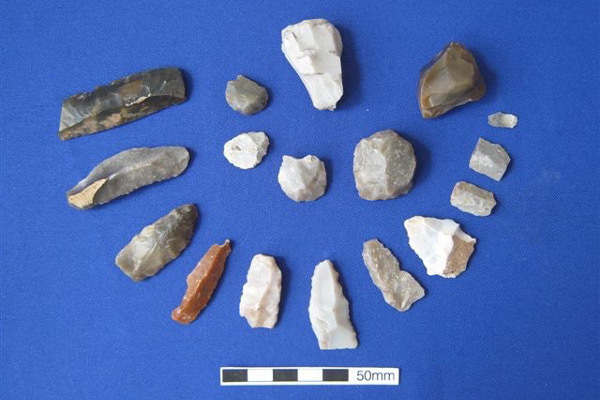 The ﬁnds are important as evidence of the human role in shaping the current landscape. While much has been written about the motivations, the movements and the actions of King James IV of Scotland in the summer of 1513, leading eventually to the disastrous engagement of Branxton Moor, or Flodden, little or no consideration is given to the strategic decisions and intent of James before and during his campaign into northern England. The 500th anniversary of this campaign spawned a wide range of commemorative and research projects which hoped to shed new light on Flodden; the campaign and the battle. The work of the Flodden 500 Archaeological Project saw the ﬁrst concerted programme of archaeological research in the area of the battle. The focus of much study has concentrated on the activities of the English and Scottish armies in England between the 22nd August and 9th September 1513 but very little is known about how the extensive Scottish force, its artillery train and camp followers travelled through the Scottish Borders, what route it took and where it camped. Prior to the current investigations initiated through the Flodden 500 Project, all that was known with any degree of certainty was that James IV of Scotland departed Edinburgh on 17th August 1513 and crossed the English Border on 22nd August 1513. 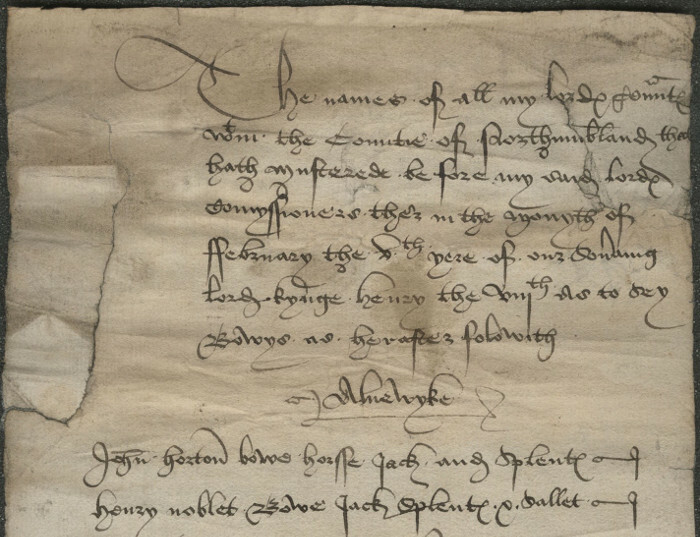 Compiled in February 1514, the Alnwick Muster Roll is one of the most important contemporary documents in the North East of England linked to the Battle of Flodden. The area designated the Registered Battleﬁeld by Historic England was deﬁned on the basis of a few place-names given in Tudor accounts and reports of battle-related ﬁnds. The Flodden 500 Project earmarked areas across the designated battleﬁeld site for metal-detecting, ﬁeld-walking and archaeological excavation to record and recover artefacts datable to 1513. Studies of related artefacts, documents and maps were also carried out in a bid to discover more about the battle. 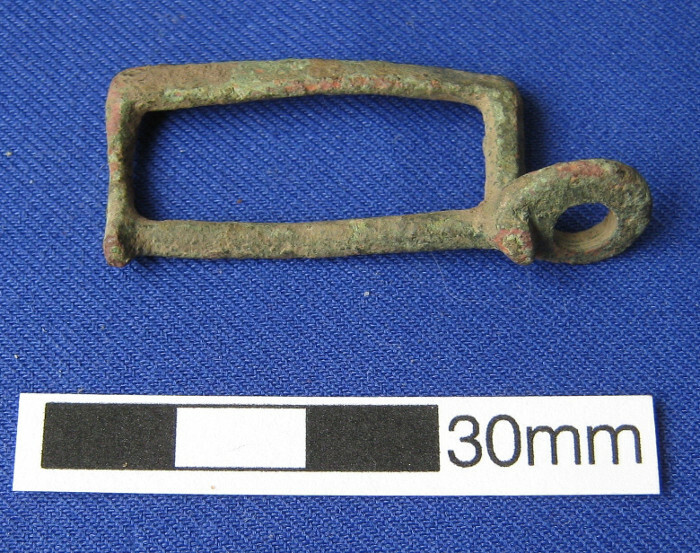 A number of ﬁnds can be dated to the early 1500s including a buckle with pendant loop which may be a sword or dagger hanger. This artefact could be related to the battle, however, swords and daggers were commonly carried in daily life at this time. Documents written in the immediate aftermath of the battle were studied by the Project’s archivist and volunteers. These included the wills of Scots who fought at Flodden and a document, kept in the National Archives, which records the horses distributed after the battle. In the nineteenth century there was a renewed interest in the battle, due initially to Sir Walter Scott. In 1808, in the early years of his writing career, Scott published Marmion, his narrative poem about Flodden. The Battle of Flodden still resonates profoundly on both sides of the border today. There was a revival of interest in Flodden related souvenirs in the Victorian period. 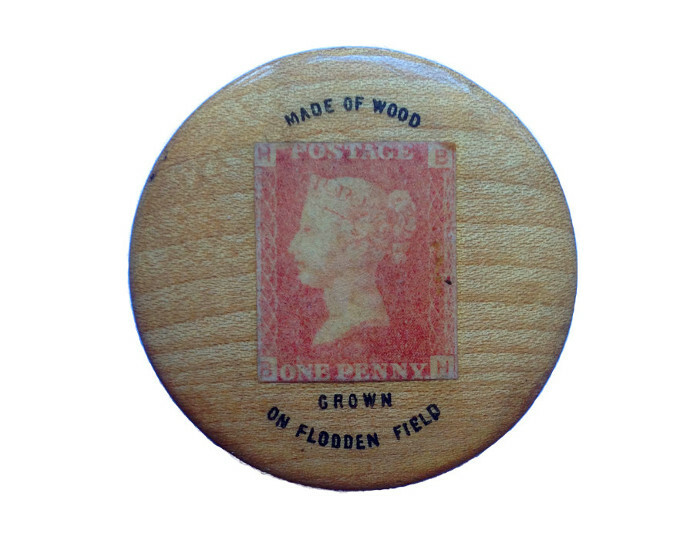 Around 1864, the Robb brothers of Coldstream began to produce souvenirs “Made of Wood Grown on Flodden Field”. Transfer decoration on these wooden trinkets often depicted places linked to the battle. Flodden What have we learnt? The Flodden 500 Project contained three main areas of activity: archaeology; archival research and the routes to Flodden. Simple questions have been asked again, like how do we know what happened and where did it take place. New sources of information have been sought and old ones revisited. The actual battle has been placed in a wider context. This chapter gives an overview of the Project’s achievements and suggests what else might be done in the future.